In our interview conducted at E3, HTC’s VR content chief talks the future of the VR industry, including the technology and software exclusive challenges everybody is facing. 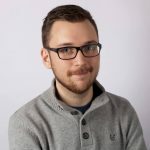 Joel Breton has a long pedigree in the gaming industry, with posts that have seen him working on games such as Duke Nukem and Mortal Kombat, as well as a stint working on that other type of game – online Flash games – for AddictingGames.com. HTC’s Vive headset, which arrived in the consumer market earlier this year, is enjoying a decent amount of success and very positive reviews from the industry and good support from developers. While HTC won’t reveal sales figures, the firm has conquered the all-important manufacturing process, with yields now high enough that it can guarantee 72-hour delivery of a headset within the United States. Breton is prepared to admit that perhaps his complex is more extreme than most. However, the idea of the ‘self’ in a VR game is not one that’s escaped the attention of developers, and it’s actually taken quite a lot of thought and collaboration to work out how to solve this, as well as other more technial problems. “On the developer side I’m seeing things I haven’t seen in my whole career in the games industry,” he explained. “We don’t have people learning something about locomotion in VR and hoarding it for themselves: they’re sending out code to their coding friends and riffing off one another. That hardware approach is an interesting one. HTC is spending $100m on an accelerator programme, investing in companies working on VR tech, both on the hardware and software side with a view to not only help solve its own technical limitations, but further the VR industry as a whole. As cool as this may sound, it’s still a bit of a crapshoot – HTC isn’t ruling anything out and is trying to “hone in on what’s missing from the market”. What that is yet, HTC isn’t quite sure, but Breton quietens his voice as he admits that gaming isn’t the only focus of the programme: this is not something to be caught saying at the centre of the hype train that is E3, where our interview is taking place. “Gaming is one of the leading use cases, but gaming is just one of my fingers… and I have ten fingers. We can’t wait to see what these developers come up with.” Healthcare, education and movies are all possibilities, and many that perhaps even HTC hasn’t even thought of yet. On the gaming side of things, Breton sees professional, eSports-level competitive VR games as a big gap to fill: “I think creating a great VR eSports title will be a huge win. If someone gets one out and we hear about it, we’ll give them all the support we can. We’ll look to create something with them because it’s going to be very big.” Quite how competitive VR will work remains to be seen, but it’s entirely possible that it could be an even better spectator sport than traditional screen-based games. HTC has always taken the moral high ground when it comes to exclusivity, with Breton reiterating in our interveiw that the industry would be better off without games being tied to a single platform. Then again, since HTC is working with Valve’s all-dominant Steam platform, HTC is arriving in a position of strength and can more easily ride on its virtual reality high horse. At Computex, the CEO of graphics card giant Nvidia, Jen-Hsun Huang, said the industry would be solving the technical problems of VR for two decades, citing resolution, the tethering cable and graphical grunt as three major issues. While not wishing to put the rather po-faced ‘two-decades’ timeline on the table, Breton is realistic about the immediate challenges VR faces. “[Huang] is absolutely right, we’re going to be sorting things out for a long time: as soon as we solve the tether issue, we’re going to double the resolution. And then guess what? The tether comes back. There are a lot of problems and challenges on the hardware side and inside the content – how do you move around in a space that’s larger than your room? – so these are problems people are working on. It’s going to be an exciting decade. Watch Head-to-Head: Should you buy a VR headset now, or wait?